‘Knights of New Jersey’ from Screen D’Or Pictures represents Montclair in film festivals across the country, from Seattle to Miami. 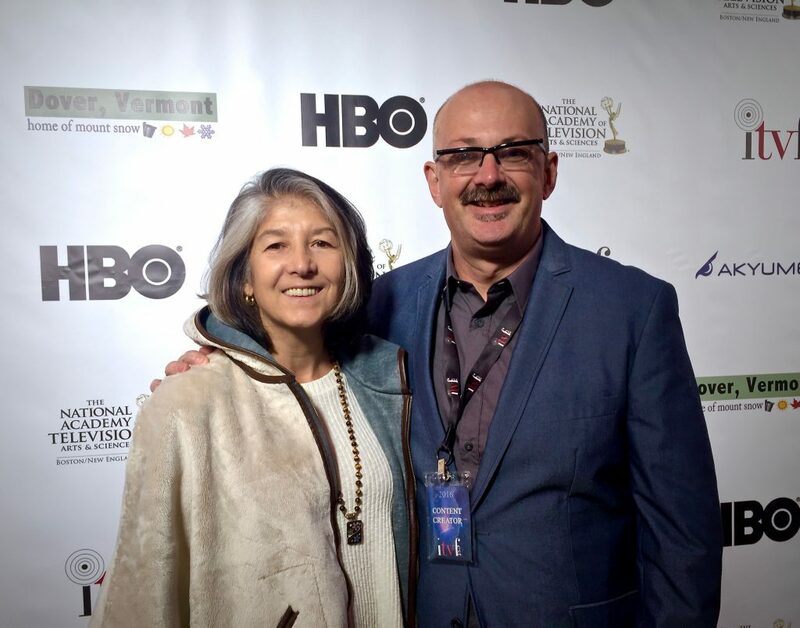 The Montclair-based video production business Screen D’Or Pictures, known for working on everything from entertaining videos to emotional documentaries, recently expanded into online entertainment. Their new comedy web series Knights of New Jersey follows a group of Renaissance Faire obsessed friends. In episode one, they battle a passionate gang of Game of Thrones fans; they also get stuck in traffic on the New Jersey turnpike. Screen D’Or’s short film version of Knights of New Jersey premiered at the 2016 Montclair Film Festival, and started the New Jersey Film Festival on Saturday, Jan. 28. It was accepted into film festivals across the country and won numerous awards for its wit and satire. Knights of New Jersey will also play at the Garden State Film Festival in March. Debbie Villarreal and Mike Hadley opened Screen D’Or Pictures over 20 years ago. Villarreal and Hadley co-direct the projects; Villarreal produces, and Hadley writes. The dynamic duo has produced hundreds of promotional, marketing and entertainment videos over the years. Among other projects, Screen D’Or Pictures has worked on a comedic video with Stephen Colbert, an endorsement video with John Legend and an informational video series with The VF Corporation out of Switzerland. Screen D’Or’s projects have brought them all over the world, from Paris to Barcelona to Hong Kong. “Each project is unique, and starts with us undertaking a deep-dive to understand our clients needs, strategies and audiences,” said Hadley. Because Screen D’Or Pictures services such a wide range of styles and budgets, empathy is a key strategy in producing their projects. Villarreal and Hadley focus on their client by listening closely to their needs and understanding their objectives. “With that in hand, we begin to develop the right creative approach to the project, which could range from a documentary shot in the field to a scripted piece with actors and sets,” explained Villarreal. Screen D’Or Pictures has worked for corporate clients including MasterCard, The North Face, Bank of America and Merck and more local businesses such as C3 Creative and Total Brain Health. Screen D’Or Pictures gives back to the community by partnering local non-profit organizations. They have worked on projects with St. Joseph’s Children’s Hospital in Paterson, the Montclair Community Pre-K and Calvary Hospital in NYC. In addition to working locally through Screen D’Or, both owners are active members of the Montclair community. Villarreal has volunteered her time to PTA meetings and St. Peter Claver’s Church, and Hadley has been involved with Boy Scouts and Montclair United Soccer. “As soon as I started to volunteer, I felt like I was really able to make a difference,” said Villarreal on the importance of giving back to the community. Screen D’Or’s owners work together on a professional and a personal level; Hadley and Villarreal are married with four kids, three of whom graduated from Montclair High School and a fourth is a fifth grader at Charles H. Bullock school. Their advice for couples working together? “Have specific roles for each person on any particular project, and stick to those roles, so there’s little room for conflict,” said Villarreal. “It’s a process! It’s something we worked hard to do,” added Hadley. Sounds like the Screen D’Or owners make the perfect team, on and off the set. Check out Screen D’Or Pictures and some of their videos at screendorpictures.com, or call 973-783-7241 to contact the owners.